Just One Thing! 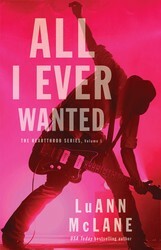 LuAnn McLane on how music shaped her Heartthrob series! 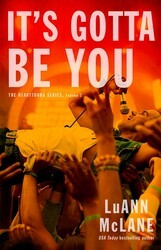 Music is a universal language: and for author LuAnn McLane, a source of universal inspiration! 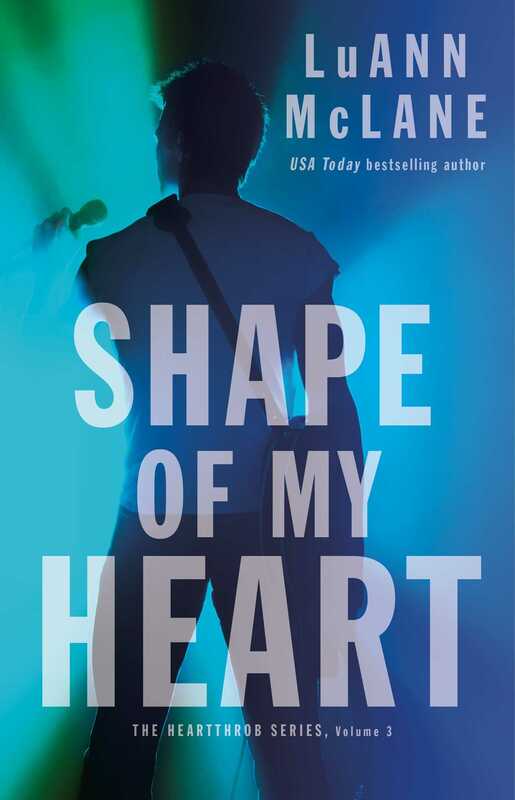 Read on for how music shaped her Heartthrob series. The third book in the Heartthrob series, SHAPE OF MY HEART, is available now! If there were just one thing you could take with you if stranded on a deserted island, what would it be? You might think my answer would be my library of books or an endless supply of wine (both good choices!) but music is the one thing I would hate to live without. Not a day goes by that I don’t listen to my favorite songs by my favorite artists. When I’m feeling down, music lifts me up. When I’m happy, music makes me dance. When I’m heartbroken music seems to weep with me. When I cook, music is always blasting in the kitchen. I don’t know if I could exercise without the beat of a song bumping through earbuds. How could I survive a long road trip without cranking up the radio? I don’t know if I could make it more than a hundred miles without music keeping me going. Music has influenced my writing in many ways. Not only have I written many of my books about songwriters and musicians, but you’ll notice that most of my novels are titled with songs, and I take that influence even a step further by naming chapters after songs. And I don’t just grab songs out of the air. Oh no, I listen to songs, and make sure that the chapter content reflects the lyrics. This method fuels my muse and keeps me from having writer’s block. I have a deep appreciation for songwriters and the ability to create a story and emotion with so few words! I enjoy a wide variety of music, but as you might guess, I have a soft spot for boy bands and so writing the Heartthrob series has been a blast. While writing the Heartthrob series, I listened to countless boyband songs, mostly from the 90’s. One night my 26-year-old daughter and I commandeered the juke box in a sports bar and played nothing but *NSYNC and Backstreet Boys while I was doing an outline for the series. When I finally played a country song, the entire bar cheered. Hey, I take my research seriously! From the Beatles to Backstreet Boys, who doesn’t love a great boy band? Not only do we get great music, but the individual personalities are just flat-out fun. So, tell me, when your music tastes veer toward the 90’s, who is your favorite boy band and why? I need to know! The USA TODAY bestselling author of the Cricket Creek series returns with this third title in her fun and flirty Heartthrob series, following the quiet songwriter of the Heart brothers as he meets a feisty young adult author who may just be his match. Back in Heartbeat’s glory days, Grady Hart, the brooding bad boy of the group, fell hard for Arabella, the band's choreographer. Now that they're doing a reunion concert, they need her to whip them into shape again. But the last time Grady saw Arabella, she left him standing with heart in his hands. Can they work through the past and get the show on the road?